Based on DOT 2016 Visitors Sample Survey, word-of-mouth plays a very big role in motivating tourist to visit the Philippines with 51.80% of tourists came to the Philippines upon their friend’s recommendation while 14.10% have friends or relatives in the country. DOT’s BHAF Program primarily aims to encourage Filipinos both residing here and abroad to help promote Philippine tourism by inviting foreign friends to come and visit the Philippines. The said program is open to Filipinos of legal age and Filipinos with dual citizenship living in the Philippines or abroad as residents or overseas contract workers. Foreigners living in the Philippines permanently or temporarily for a minimum of 6 months prior to the raffle are also qualified. 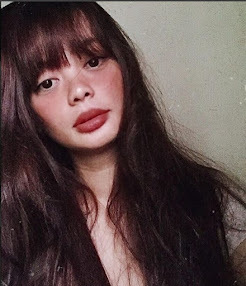 To join, they have to invite or sponsor anyone holding a foreign (non-Filipino) passport or dual citizenship living abroad for a minimum of six months prior to the event and has traveled to the Philippines during the specified period of time. The sponsors will have the chance to win a condominium unit from Megaworld Corporation (1st prize), Toyota Vios (2nd prize) and P200,000 worth of Duty Free Philippines gift certificate (3rd prize). Meanwhile, the invitees can win two roundtrip international Business Class tickets and two roundtrip tickets to Palawan plus 6 days/5 nights at El Nido Hotel and Resort (1st prize); two roundtrip international Premium Economy (or Economy if not applicable) Class tickets and two roundtrip Domestic Tickets to Cebu plus 5day/4night stay at JPark Island Resort and Water Park Cebu (2nd prize); and two roundtrip international Economy Class Tickets and two roundtrip Domestic tickets to Davao plus 5 days/4 nights stay at Pearl Farm Beach Resort (3rd prize). 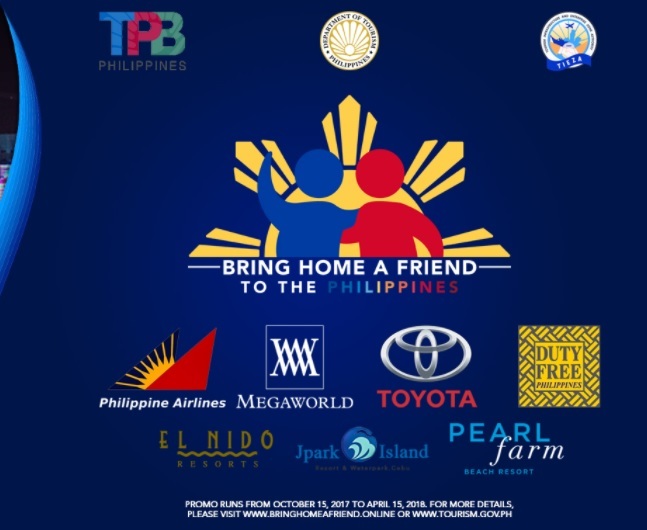 To join, the sponsor and invitee must duly accomplish the registration via the Bring Home a Friend website accessible via the Department’s website tourism.gov.ph or through the booths located at specific airport. The program will run for six months starting from October 15, 2017 up to April 15, 2018. Winner will be selected through an electronic raffle draw. For more details about BHAF Program, log on to www.bringhomeafriend.online.